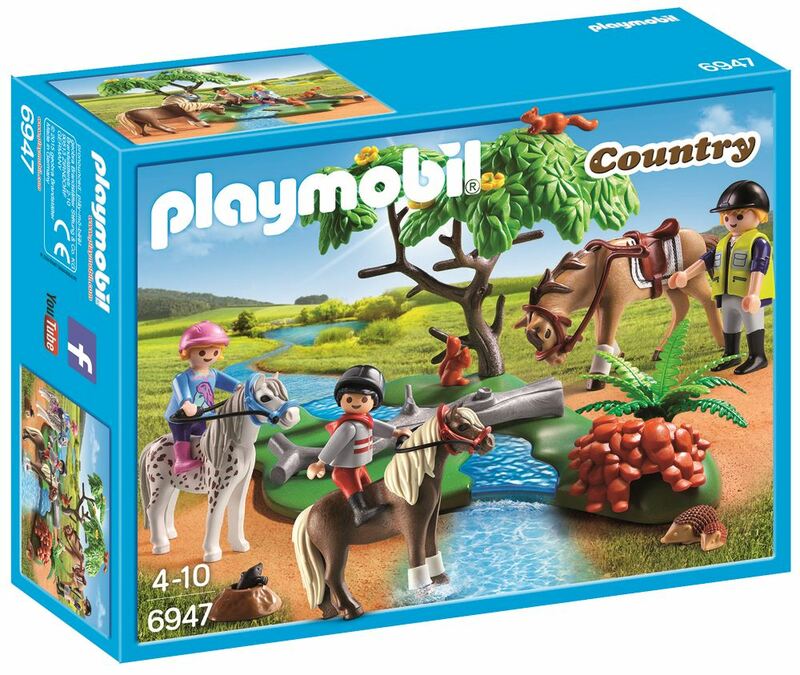 The happy Playmobil riders (an instructor and two beginners) are wearing their riding helmets and ready to ride off into the lush green outside. While learning how to ride and getting to know their new ponies, the eager riders can explore the beautiful river and tree and meet fun forest animals. Includes: 3 figures, a horse, 2 ponies and accessories. Part of the Country and Pony range. Age 4+ years. Distributed in New Zealand by Holdson.